Two high pressure air supply connections with two color coded, 6ft SCUBA yokes and whips. The whips and yokes remain attached to the lid of the unit during storage or transit. Each input has a color coded shut off valve and an air pressure gauge which allows the tender to change out the air bottles in the system. As an added safety feature, check valves on each input provide protection against back flow of air from a full bottle to the empty in case the tender forgets to close the valve when switching bottles. A high quality Tescom adjustable, non-venting regulator reduces the high pressure air to low pressure air. 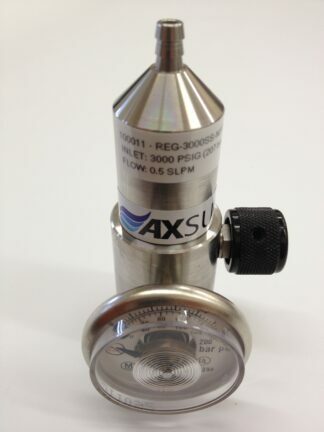 The pressure reducing regulator input is protected against contamination by a 50 micron filter and a 0-400PSIG air pressure gauge monitors the output air pressure. A relief valve (factory set at 285PSIG) limits over pressurization. 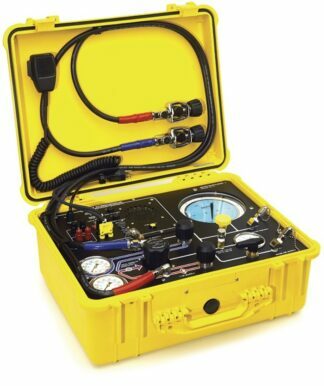 The 2810E 1 diver air communicator comes complete with a hand-held push-to-talk microphone which cancels top side background noise and provides clear communication to the commercial diver. The communicator has individual volume controls for the commercial diver and tender which provides for individual preferences of volume. Dynamic 20 watt ‘voice power’ insures clear hardwire communications even under difficult conditions. The radio has AC power with battery back-up power. The system can also be powered from an external 12V source or the 110/220 volt battery charger. A red LED battery condition indicator also functions for external power sources. The Pneumo System measures the commercial diver’s depth by supplying air pressure to the pneumo hose. 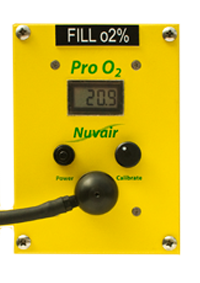 The heart of the pneumo system is the high precision 6 inch depth gauge. The depth gauge dial has a glare free face and is clearly marked for fast, accurate readings. Accuracy is .25%, full scale. 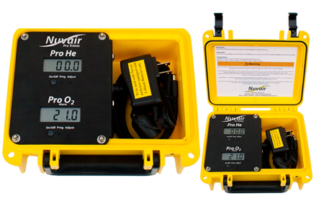 The air control system has a built-in snubber for reducing pulsating and shock pressure loads to the precision gauges. 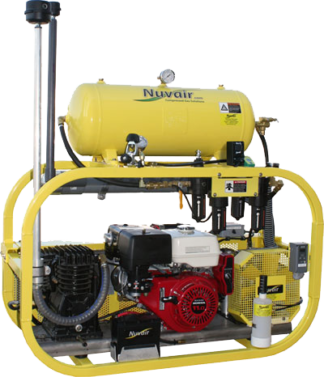 The Diver Pneumo is a valve regulating type with yellow handle and controls the air supply to the pneumo fathometer system.